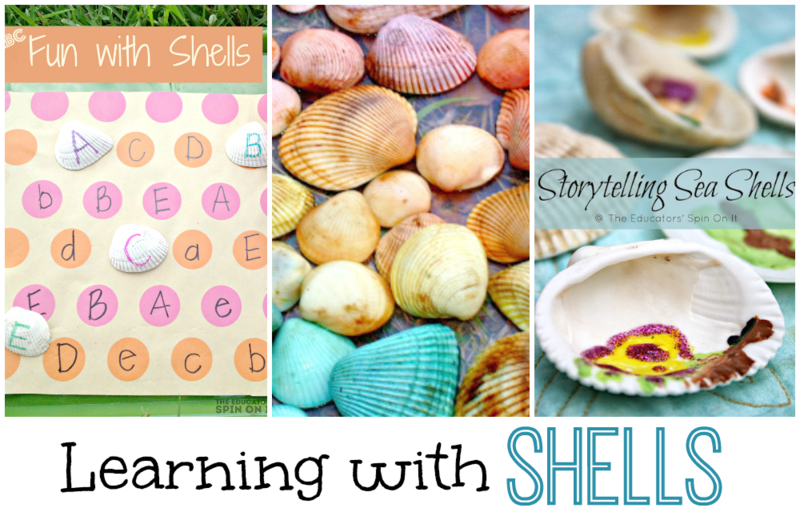 Learn how to dye seashells with your kids. 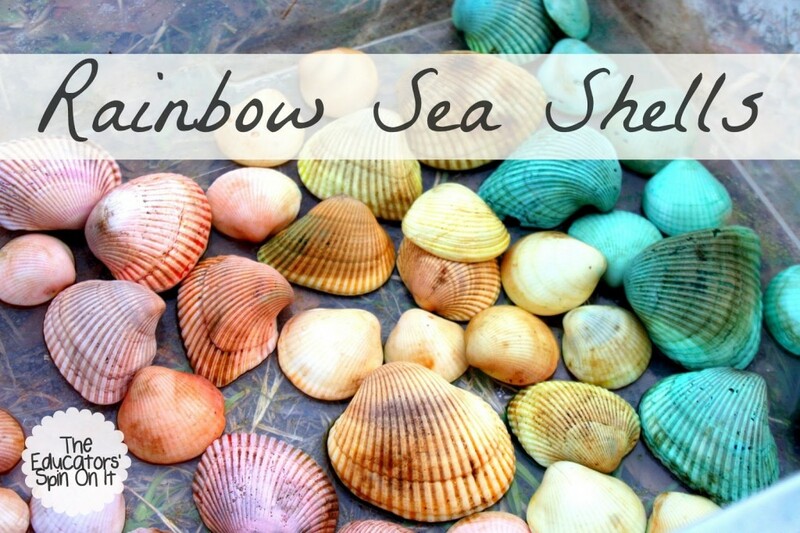 Did you know you can make your own rainbow seashells? 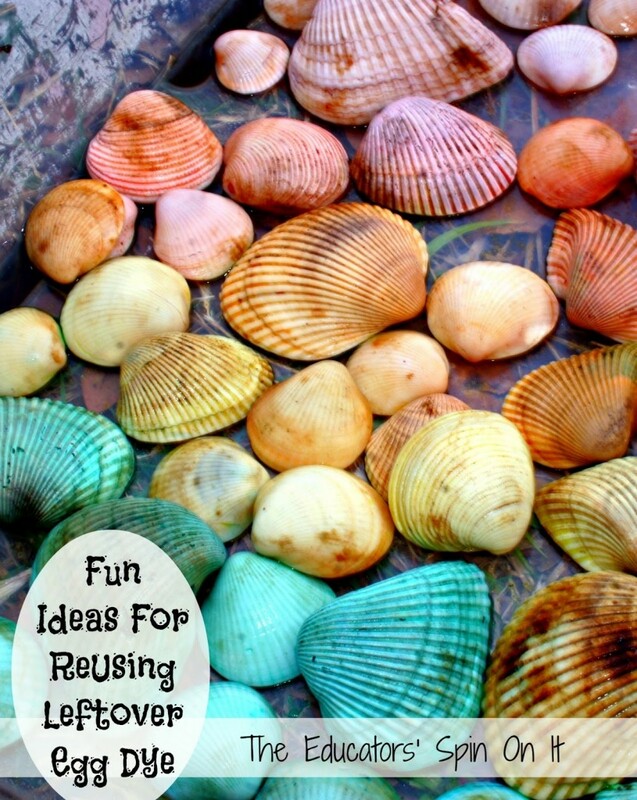 With just a few materials you’d be surprised how easy you can dye these colorful shells with your child. 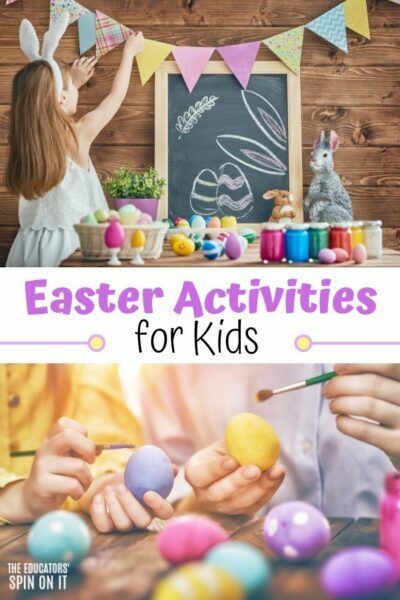 Have you ever thought about what to do with the leftover Easter egg dye that you use for eggs every year? 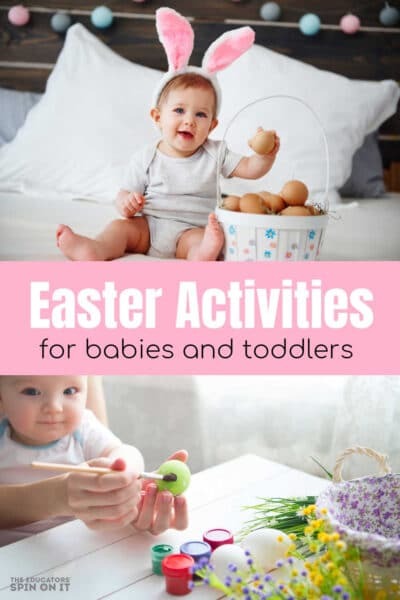 I’m going to be honest I never have until this Easter, I guess just because we’re always busy doing other things on Easter with our extended family. This year after we finished my 6 year old daughter asked me what else she could use the Egg Dye for? I turned to the interest and found that you can color coffee filters, clothespins. yarn and even Tie Die and paint with your leftover vinegar based egg dye. 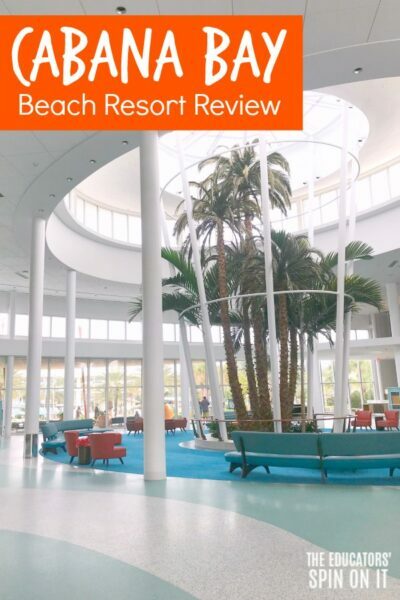 However we wanted something similar to eggs…. Now I’ll admit we have quite a few seashells in our sandbox from our many trips to the beach, we’re a very lucky to live a few hours from the beach since all of my kids were born. So in 20 years we’re gathered quite a few and use them for playtime. 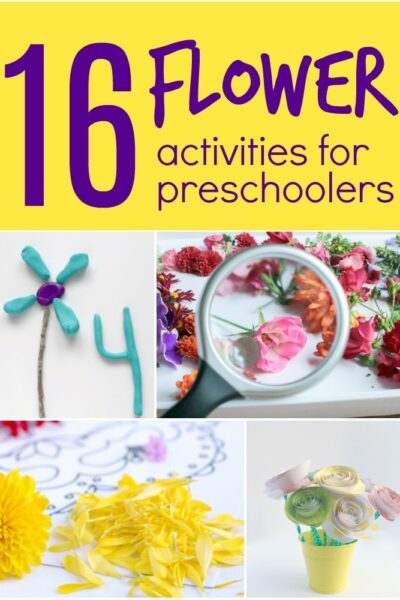 You’d be amazed how many ways you can use seashells for imaginary play. We’ve painted them like these Storytelling Shells but I never thought about dying them. We brought our containers outside and gathered up our seashells. We washed them off first and let them dry out so they could absorb as much of the vinegar based dye as they could. That’s ok we have fun playing outdoors in our gorgeous spring weather in the south this weekend. Coloring the sea shells worked out to be a great sibling activity too! 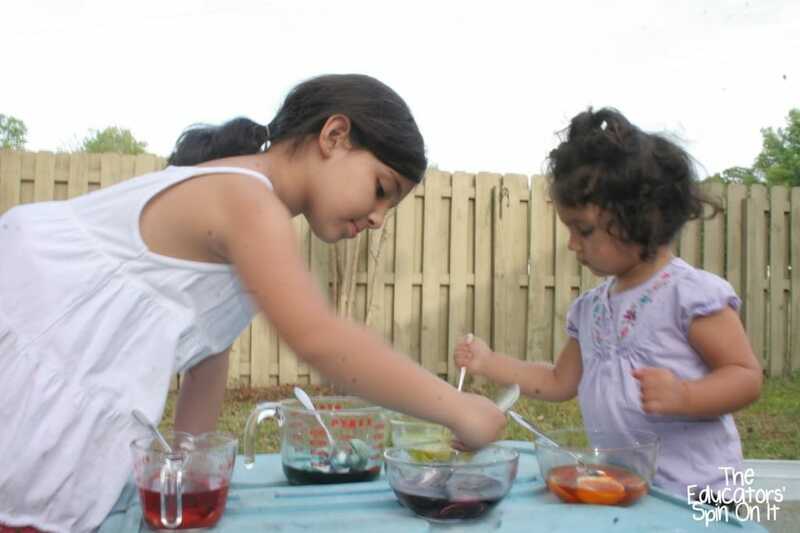 Once our sea shells were dry we set them inside of the various colors of Egg Dye and watched to see what happened. I wasn’t sure if they would change due to their surface, so it was so much fun to observe and watch as they change. A little science and discovery at home is always a good thing! We left them in the colored water for around 30 minutes, but honestly experiment to see the variety of results you get.. it’s a science experiment with your kids so enjoy! 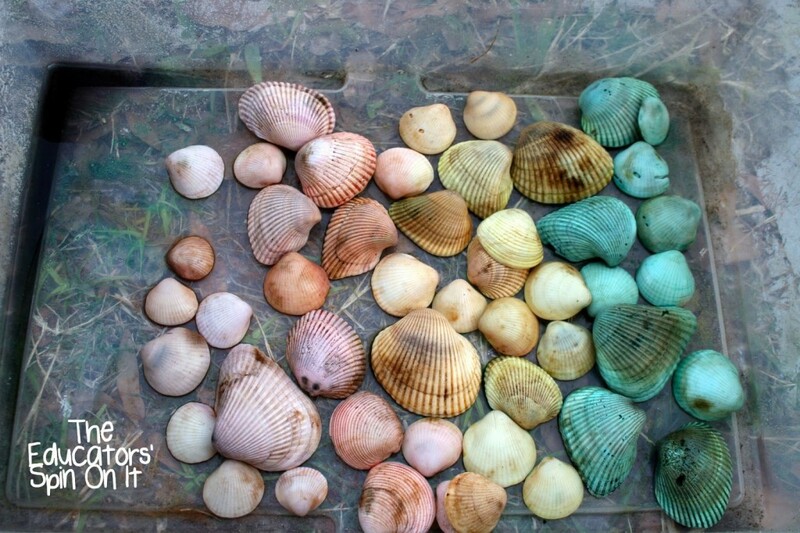 Here’s how our Dyed Seashells turned out, a rainbow of fun! 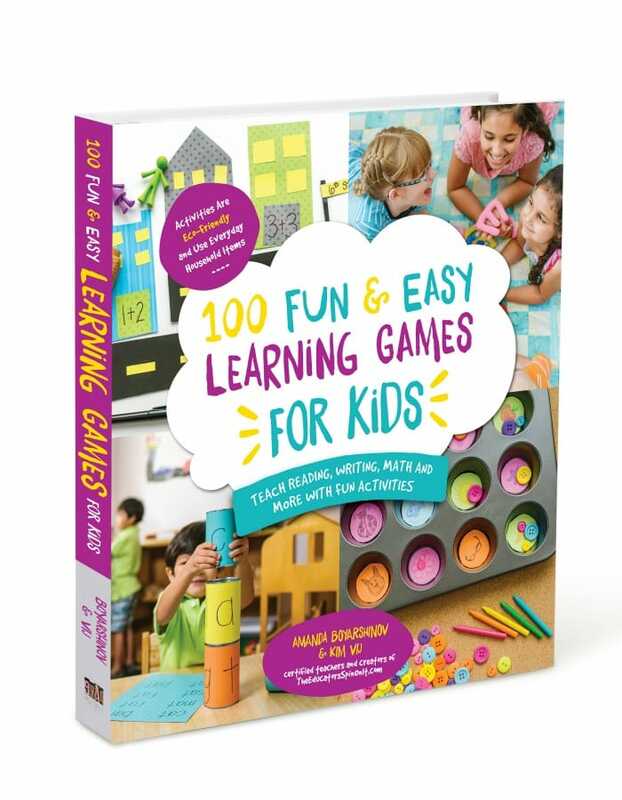 Did you throw your dye away already, now worries you could think about grabbing a few egg dye kits on clearance this week and make your own Rainbow Shells this spring! I think we must just try rocks next! 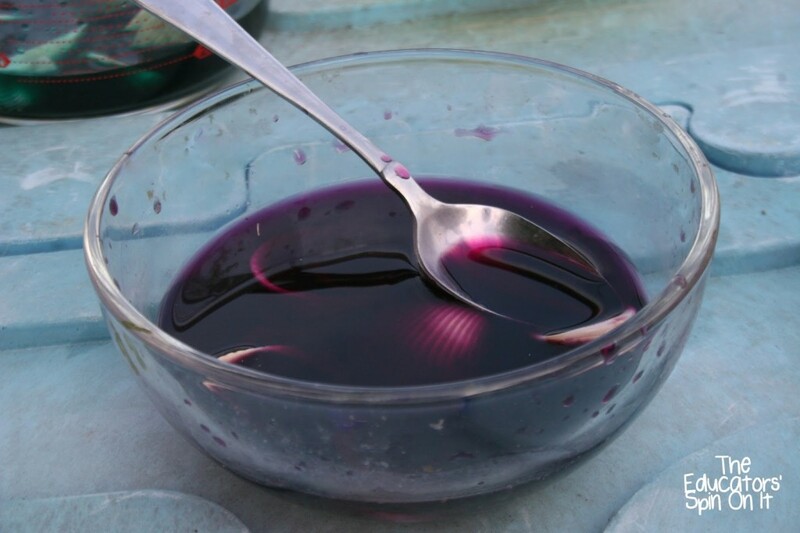 What would you color next with leftover egg dye? I dyed some fabric with my leftover Easter eggs. We've painted shells before, but not like this! How pretty, love them. This is such a fantastic idea. I've been excited to try it ever since you first posted it, and I included it in our natural art roundup today! 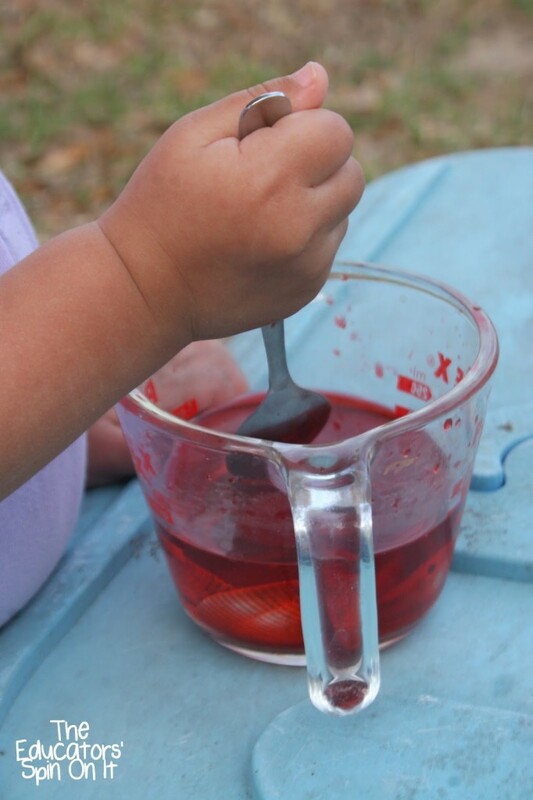 http://www.two-daloo.com/2013/04/23/toddler-art-tuesdays-painted-nature-collage-and-nature-art-roundup/ Thanks for sharing! I'd never thought of using the left over die for anything else. 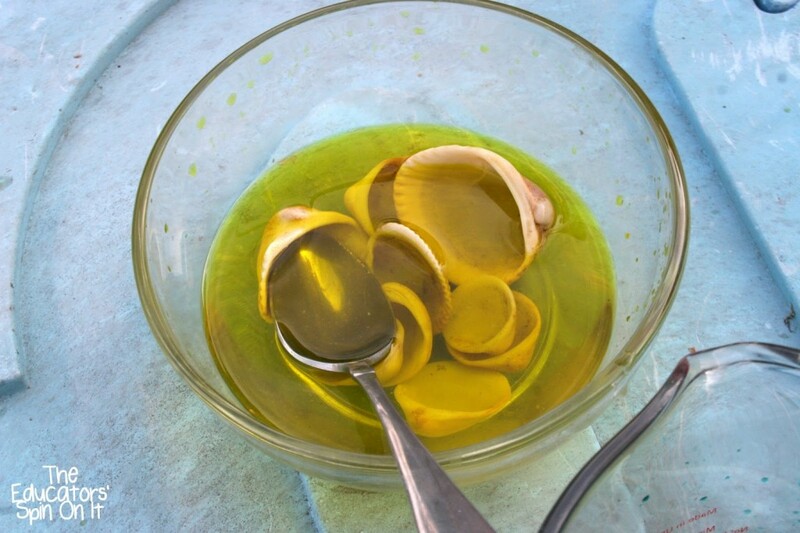 With Easter coming up and a box of shells in the basement we will definitely be trying this. Will be interesting to see what else we end up dying . How long did you leave them in the dye? We left them in for about an hour to dye. How long did you leave them in the dye and did the color dye last? I wondered if it would rub off on hands or other surfaces over time. Very cute project!!! Thanks, we had fun with these in our backyard play for quite some time. We left them in for about an hour to dye the color, I imagine you could leave them longer for stronger colors. We did not have any problem with the color rubbing off afterwards.